Need a CNC shop for Prototype, Specialty Parts or Production runs? 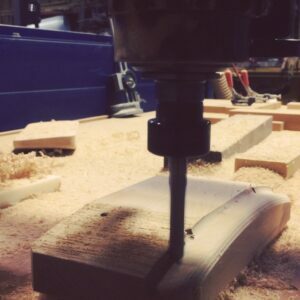 Newsham’s Woodshop Inc. has many years of CNC experience working with a wide variety of applications. From sign companies to aerospace and rotorcraft applications, Newsham’s has made components from wood, foam, plastics, composites and phenolic. Three Axis CNC Machining capable of performing 2 D cutting, drilling & nested parts manufacturing, including 3 D Milling on 3 separate 4′ x 8′ & NEWLY EXPANDED 5′ x 12′ cutting areas. CAD (computer aided design) drawings converted to CNC language & vectors in standard or metric forms of measure to required tolerances. Whether you are in the market for prototype, limited production runs, or supplementing manufacturing capabilities, our CNC operations may be the answer to your search. Contact us today and discover what we can do for you. .DWG – Two / Three Dim.